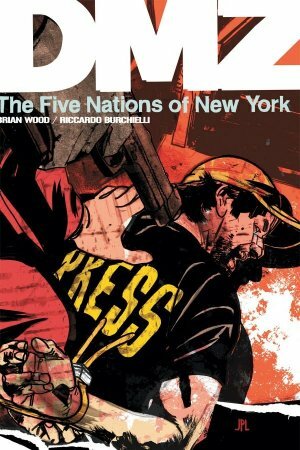 'The Five Nations of New York' continues the long goodbye for this long-running series, as this month Matty Roth travels to the Empire State Building, chats with Zee some, and gets arrested. We learned a couple of years ago that the Empire State Building had become the home to a 'death cult' of first responders, who were ultimately responsible for Matty's time in the DMZ starting the way that it did. Death cults don't react well to change, and so it's kind of interesting to see what's going on in the building in the wake of peace breaking out. In a lot of ways, this seems like a very anti-climactic last visit for Matty to make, but the heart of this issue lies with Matty's time with Zee. They talk about just how Zee managed to maintain her sanity through the years of strife and turmoil in the DMZ. She's always been the most interesting character in this series, so it's nice to be able to see things from her perspective one last time. I'm not sure how Wood is going to finish things off next month, but I look forward to finding out.